Hello everyone! I hope you are all having a great summer so far! One trend I can’t get enough of in these hot summer months is the all white trend, also known as the white out trend. It’s basically all white head to toe. I love to wear this trend many ways and even break the rules a bit by adding a pop of color. Here are a fews ways to rock this trend all summer long! Casual: For this all white look I’m going for a more casual, laid back vibe. 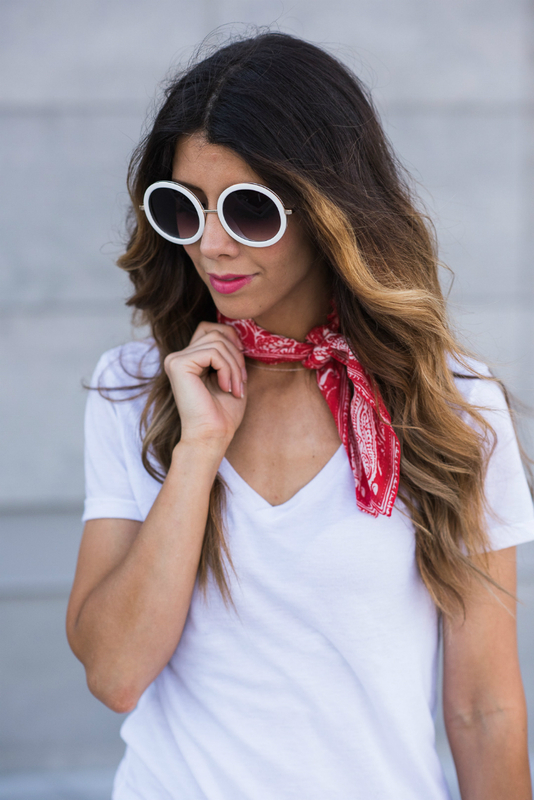 I added a pop of color with this cute neck scarf (another fun trend to try), then paired it with a denim jacket to give it a more summer look. Dressy/Casual: This look is fun for a date night or just a fun summer night out. I changed it up a bit from the casual look by switching my top to a button up blouse and some cute heels. A pop of color looks fab with all white and gives it a fun and different look. Dressy- I love wearing all white from head to toe, especially for a dressy, all white look. It’s such a classic look that never goes out of style and always is so perfect for the summer. I decided to add a hint of color by adding this blue clutch. It would also look super cute with some colorful heel! 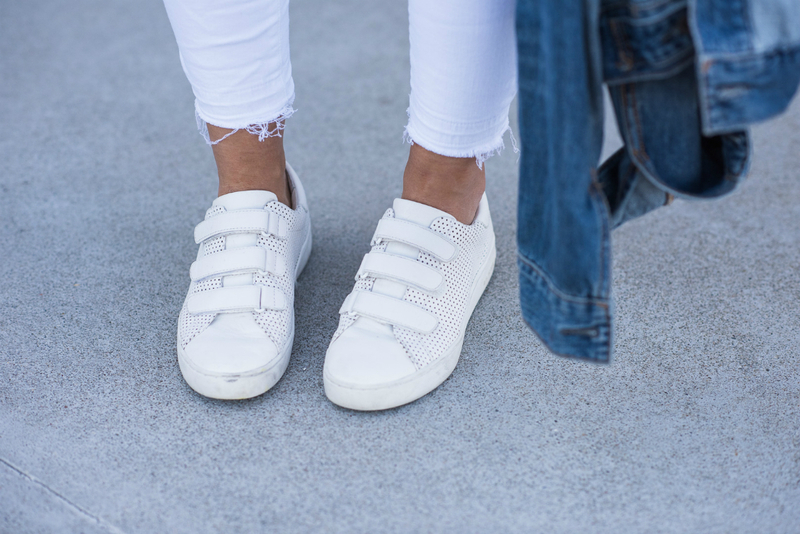 This summer you have to try the all white trend if you haven’t already! You will be hooked!